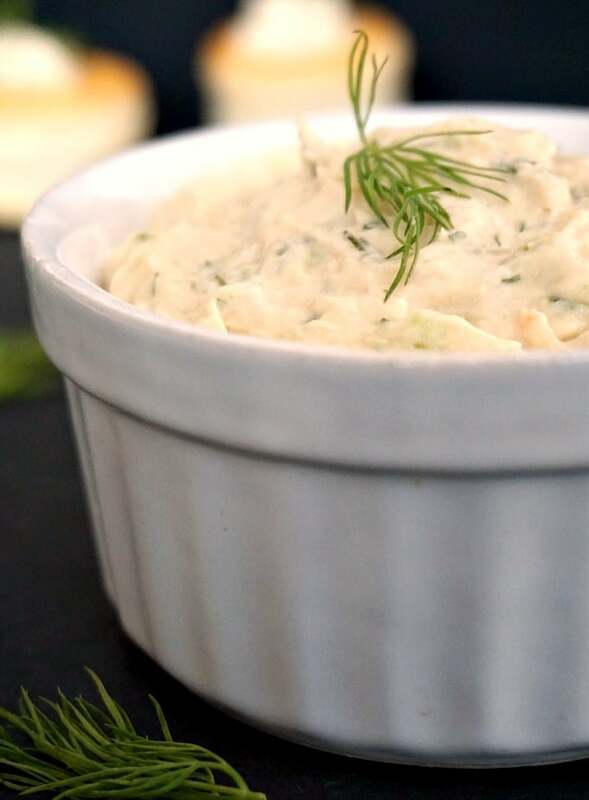 Homemade smoked salmon pâté, one of the quick easy party appetizers everybody loves. Delicious, and so simple, yet so delicate. 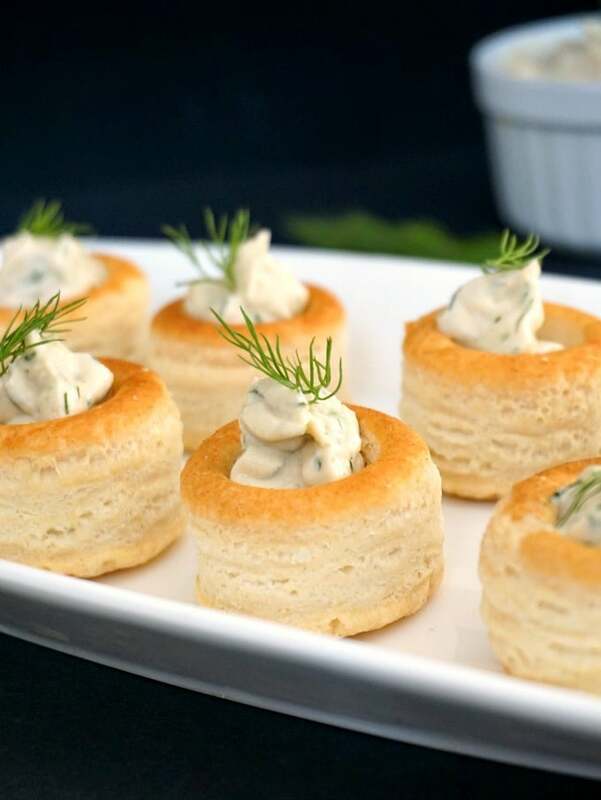 Perfect for the New Year Eve’s Party or any other celebration, these bites are simply delicious. You know me already, I am a big fan of smoked salmon. There might be people (my husband included) that don’t agree with raw fish, or fish in general, but I think it’s absolutely delicious. 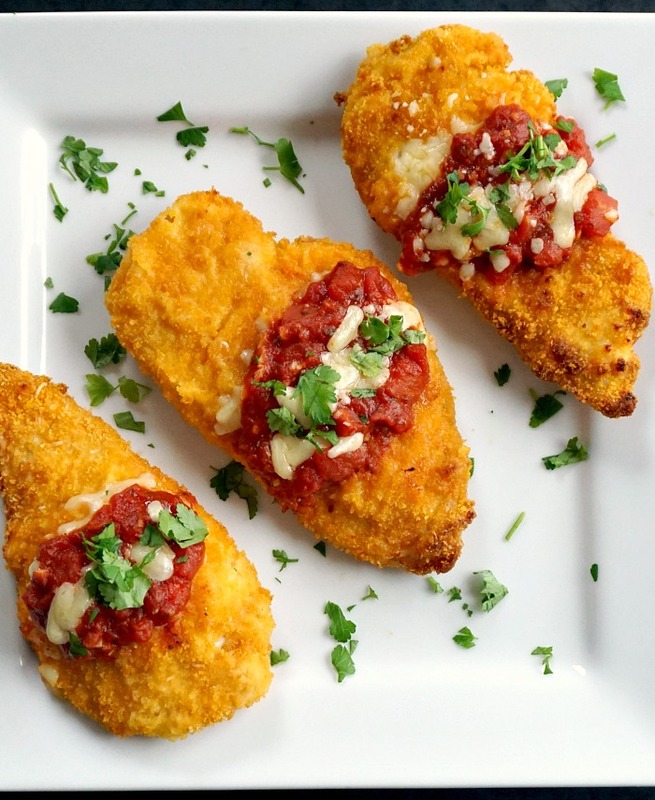 And it usually makes a great appetizer, if you are looking for posh recipes for parties. And the biggest one of them, the New Year’s Eve Party. Are you looking forward to it? I certainly am. Nice food, a great fireworks display, lots of fun, what a great way to start the New Year! The combination smoked salmon and cream cheese is one a a kind. The salty smoked fish, creamy and rich cheese, you can never go with it. And you know what works brilliantly well with this combo? Fresh dill. It has a delicate aroma that totally transforms any dish. It pains me to pay nearly £1 for a tiny bunch of dill in the supermaket, when I know that mum has plenty of fresh on in the garden. Completely free, enough to get the whole village to cook for a year with it. The joy of living in the countryside, hey! I know you have to work hard for everything you have, but it pays off when you see all those amazing veggies and herbs. That’s what I am talking about when I say homemade food is the best. Fresh produce can never be beaten by anything. You don’t need too many ingredients to make the smoked salmon pâté, but what you end up with is pure perfection. I used the same amount of smoked salmon and cream cheese, but you can use less cream cheese for a deeper pinkish colour, and a stronger “fishy” taste. Add the same amount or more cream cheeseif you want the pâté creamier. And the good news is that you only need to throw all the ingredients in a blender, blitz well to a smooth consistency, and job done! In a matter of minutes you have it ready. Now, you can serve it with anything you like, from crackers to bread sticks, homemade croutons or store-bought puff pastry cups. I opted for the ready-made cups, as I needed it ready quickly, plus around this time of the year many shops will sell something similar. Shortcuts are allowed when time is short, so don’t worry too much about not having everything from scratch. The smoked salmon pâté can be kept in the fridge until you are ready to have it, it’s always a good idea to make it at least a few hours in advance actually so that it can be nice and cool, it tastes tons better this way. I made mine the night before and just filled the puff pastry cups before serving. If you have a piping bag, that’s brilliant, it helps a lot, not only to avoid mess, but also to fill them quicker. But I guess that a teaspoon could do too. And there you have it, the perfect appetizer. You only need to get the party started now, and get some booze, in case you like it. Fun and laughter will come for sure. 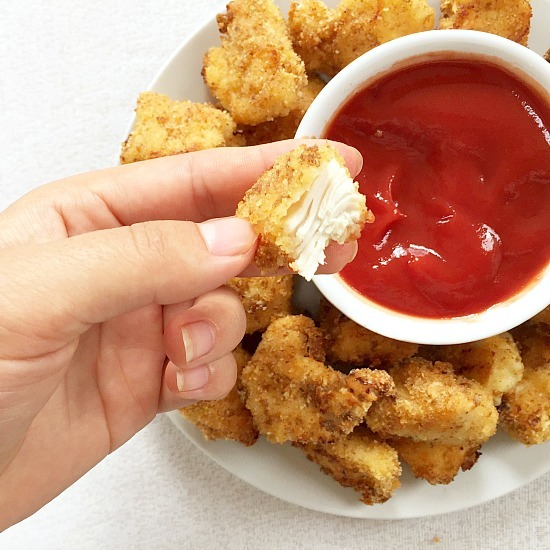 And some seriously nice bites that everybody will demolish. If you’ve liked my SMOKED SALMON PATE APPETIZERS or any other recipe on the blog then don’t forget to rate the recipe and let me know how you got on in the comments below, I love hearing from you! You can also FOLLOW ME on FACEBOOK, and PINTEREST to see more delicious food and what I’m getting up to. 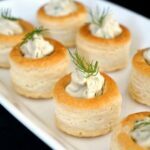 Homemade smoked salmon pâté appetizers with cream cheese, one of the quick easy party bites everybody loves. 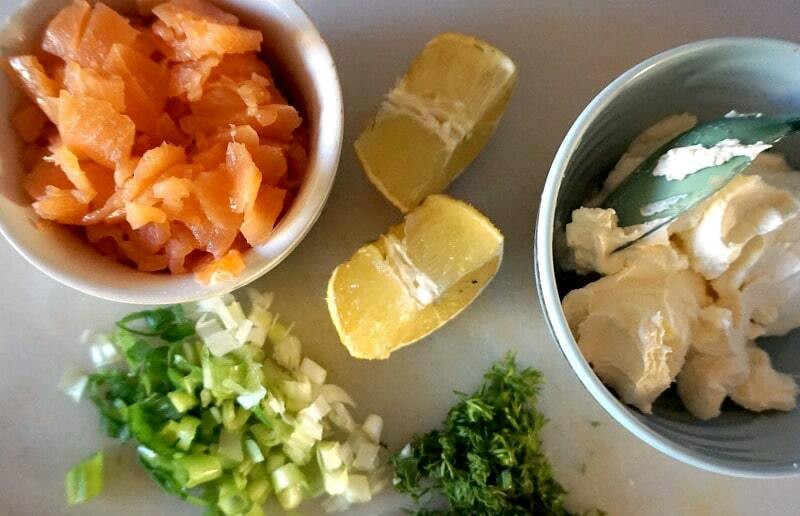 Chop the spring onion and dill really finely and add them to a food processor together with the cream cheese and smoked salmon. Blitz for about 30 seconds to 1 minute, depending on how smooth you like the texture. Add the lemon juice and season with black pepper to taste. Transfer to a bowl and refrigerate until it's ready to be used. 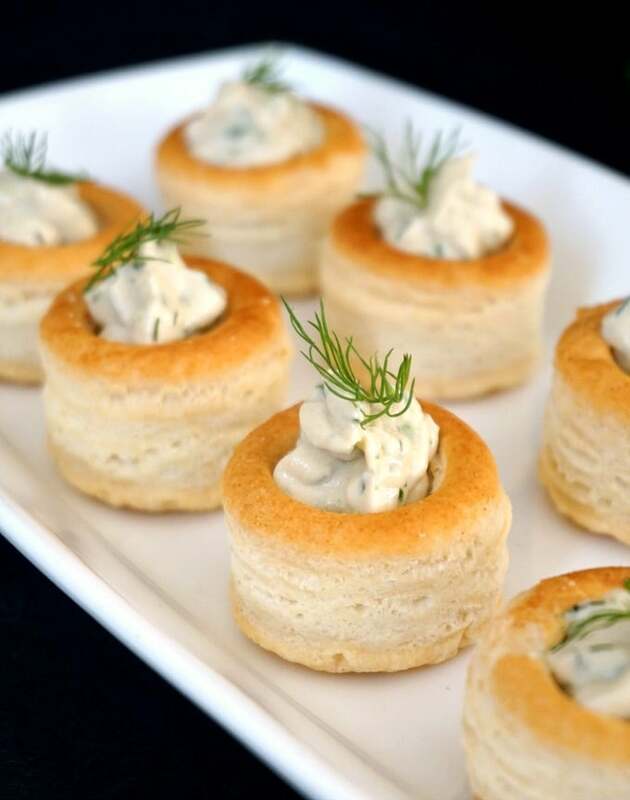 If you serve it in puff pastry cups, use a piping bag to pipe the smoked salmon pate in each cup, then decorate with dill. Lovely recipe and fab photos too! thank you for your lovely comments, Chris! Thank you for your smoked recipe. I like smoked food very much. You do a great job. Thank you for your guide. I love your recipe, want to try it, but where can I get the smoked salmon? can I do this without it? Thank you, Kelly! l have not tried without smoked salmon, l usually find it in supermarkets. You might like to try with cooked salmon then, if you cannot find smoked one, and add more salt, black pepper and lemon juice to your taste. Smoked salmon is naturally salty, since smoking and salt help preserve it. I hope this helps! Let me know if l can help further! ? Such a delicious recipe. Would love to try something similar with this at home. Surely, my wife will love this. Thanks for sharing the yum ideas. Just love all those in the photos.